Do the Greens really expect to put a stop to Australia's uranium industry' Do they intend to trade this position for a higher, yet to be determined prize' Or, since Climate Change Minister Greg Combet has declared his support for the coal mining industry, one of the greatest polluters of them all, are the Greens starting with a softer target' Australia's uranium industry still earns fewer export dollars than coal and gas, employs fewer people in sensitive electorates, and the Australian electorate is still somewhat conflicted and suspicious about anything with the word 'nuclear' in it. Withdrawing from nuclear trade would have broader implications than loss of export revenue and jobs. For one, it would take out of the global market one of the world's most reliable uranium suppliers, with a record of responsible supply based on strict adherence to global nonproliferation norms. This would be a gap most likely to be filled by far less scrupulous suppliers. Australia has a tradition of involvement at the top table on international efforts to promote nuclear security, including disarmament. The just-concluded International Commission on Nuclear Non-proliferation and Disarmament is one of the more recent examples of Australia's high level global engagement on nuclear security. The weight we carry in these debates far exceeds the size of our nuclear infrastructure. It links in large measure to our record as a responsible supplier of uranium, based on strict non-proliferation principles. The cessation of uranium exports would almost certainly mean that we would lose our status as the most advanced nuclear nation in Southeast Asia, with implications for Australia's designated seat on the IAEA Board of Governors and a reduction of our weight in nuclear (including non-proliferation) discussions generally. We would also lose our leadership role in the IAEA's Regional Cooperation Agreement for East Asia and the Pacific. All this at a time when nuclear power is emerging as a significant option for Southeast Asia's growing energy needs. Vietnam has plans to build eight nuclear plants, with numerous nuclear cooperation agreements in the pipeline. 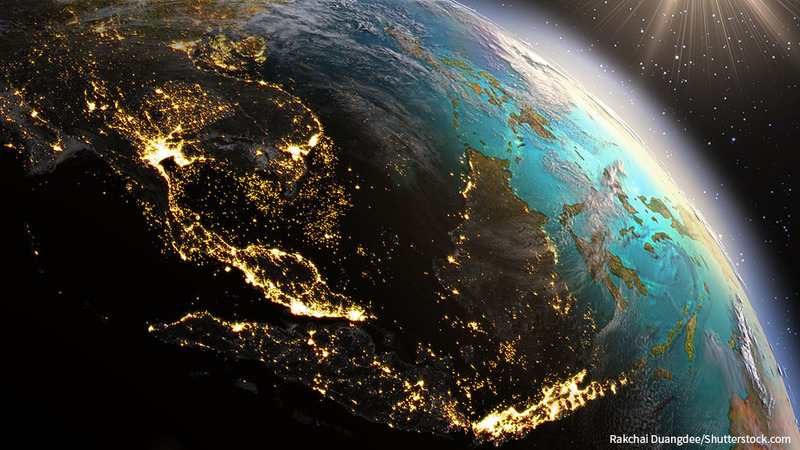 Indonesia, Thailand, the Philippines and Malaysia all have nuclear power plans. In North Asia, the growth of nuclear power is impressive, with the Republic of Korea and China set to become major competitive exporters of nuclear power and know-how to our region. Technological innovation to enhance nuclear safety, reduce proliferation risks, minimise waste generation and improve economic performance has increased the attractiveness of nuclear energy globally. Countries with mature nuclear infrastructure (such as France and the US) are seeing lower energy costs and lower carbon emissions partly due to nuclear power. Despite the Greens' best efforts, Australia is not likely to withdraw from the world's nuclear trade. But the entire question of Australia's very small and diminishing nuclear infrastructure has broader implications than loss of revenue or our seat at the IAEA Board of Governors. The question of whether to export uranium or not might tick a domestic political box (for the pro and con advocates alike), but it misses the larger point of the need to understand where Australia's nuclear infrastructure is heading and the implications our declining nuclear capacity has for our national interests and international competitiveness. Whether we are talking about deriving the full benefits from nuclear medicine to deliver cost-effective, first class health care, or nuclear forensics for national and international security, or undertaking a serious examination of the role nuclear energy might play in helping secure for Australia a reliable, clean source of base-load power to meet increased energy demands with less carbon intensity, we have not embarked on a mature debate about what Australia's nuclear future should be. Such a debate in Australia should be strategic and nonpartisan, taking into account our future energy needs, the investment in skills and infrastructure needed for investing in nuclear energy and the risks to our international competitiveness if we stay with the current carbon-intensive approach or take a high-cost, non-nuclear, low carbon approach to energy. The debate also needs to take into account Australia's future in a region where nuclear expertise and know-how is growing. Whether we are speaking about responsible uranium exports or the future of Australia's nuclear infrastructure, engagement rather than estrangement offers us the greatest opportunity for continuing to influence the global nonproliferation agenda, while ensuring we have the national capacity for deriving the full benefits which nuclear science and technology offers for health and medicine, the environment and Australian competitiveness in the world's most dynamic region. Photo of the OPAL Research Reactor at Lucas Heights, Sydney, courtesy of ANSTO.